$2.29 to $3.99 & FREE Shipping on orders over $59 $35. Some homewinemakers will treat wine affected with H2S by stirring with a copper rod or racking through a copper "scrubby". Copper converts the the hydrogen sulfide into copper sulfide, which is not soluble in wine. After a few days the wine is racked off the copper sulfide which by that time has precipitated down to the bottom of your vessel. However, putting wine in direct contact with a non-measured amount of copper can result in residual copper being left in your wine, especially in low pH environments. A more professional approach to the reduciton of Hydrogen Sulfide is to use a measured amount of copper sulfate in a 1% solution. 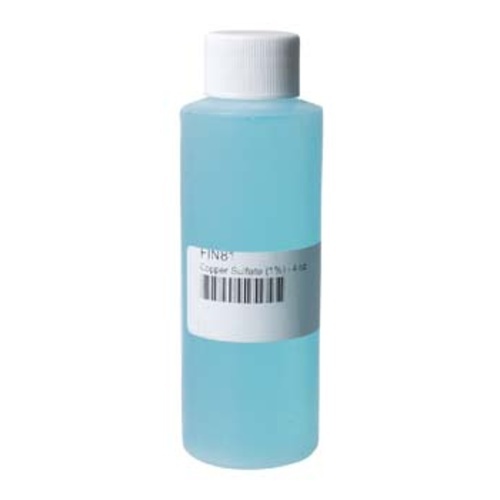 Normally a trial is set up to determine the least amount needed to eliminate the problem (see FIN84 bench trial kit). Because the amounts used are very small, it will be necessary to use a pipette. Add the correct amount of copper sulphate in small .1 ppm doses. Wait several days for the copper sulfide to settle out and then rack off the lees. Do not add copper sulphate during an active fermentation as it may actually cause more hydrogen sulfide to form. If you detect hydrongen sulfide or "rotten egg" smell during fermentation, it is a sign of poor yeast nutrition. Add the recommended amount of Fermaid K (AD345) for the amount of yeast you used to correct this issue - it should keep you from having to use the copper later! Trying to remove rotten egg smell from my wine.